Day 1. Our journey begins after our local pick-ups as we make our way south-west. We stop en-route for your comfort & arrive at our hotel late afternoon. On arrival enjoy a relaxing cuppa as your luggage is taken to your room with time for you to unpack & relax before dinner. Day 2. 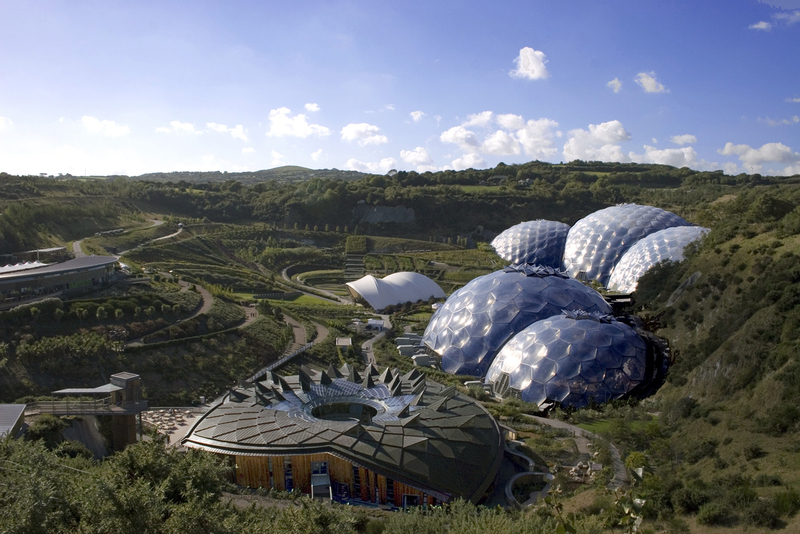 After breakfast today we make the short journey to the renowned Eden Project. The remarkable Biomes are home to many diverse species of plants from around the world. After lunch we depart for the picturesque Port of Fowey, situated at the mouth of the River Fowey, this small port has been designated an area of outstanding natural beauty. We depart mid-afternoon & return to our hotel with time to relax before dinner. Day 3. This morning we depart for the charming picturesque village of Mevagissey, with its narrow streets leading from its twin harbours that provide a safe haven for many fishing boats. Later we make the short journey to the Lost Gardens of Helligan one of the UK’s most visited gardens. Upon arrival we have a one hour guided tour before allowing free time for you to explore at your leisure. Day 4. Today enjoy a morning aboard the Historic Bodmin to Wenford Railway. This return journey aboard a full size steam train will take you back in time before we transfer you into the old county town of Bodmin itself. Take time to explore this historic town with its museums & courtroom experience as well as its many cafes & shops in the town centre. Day 5. We depart after breakfast & head for home arriving early evening in our local area. Singles Room are now sold out. The Hotel boast 45 contemporary bedrooms with complimentary Wi-Fi in all rooms & public areas. The hotel has 12 ground floor bedrooms as well as a wheelchair accessible lift to all floors. All single rooms are doubles for sole use. Return Journey aboard Historic Steam Railway.